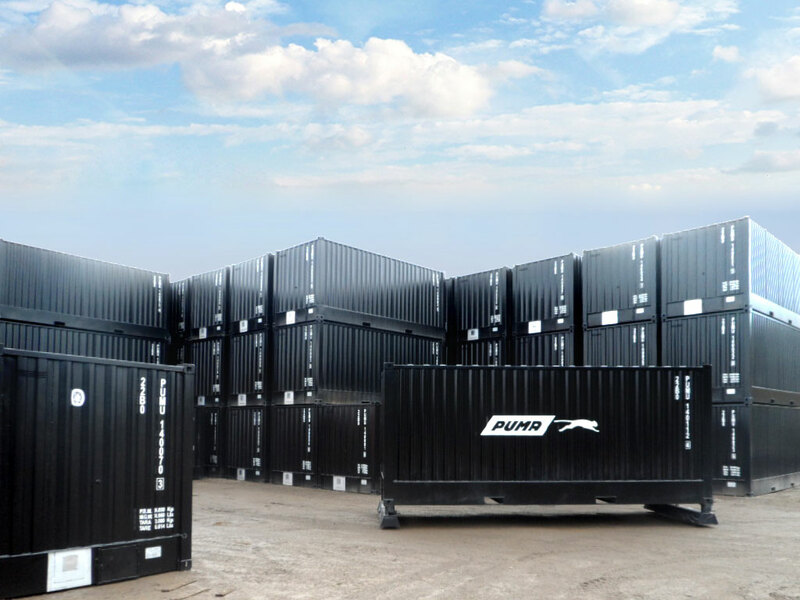 The bitucontainers or bitutainers are ISO standard 20′ containers which makes them essentially versatile for road, train and sea transport. Their size can also be modified, allowing them to be manufactured in line with client needs. Their capacity (ISO 20′) holds 29,500 litres, and they stand out for their functionality due to having been designed to facilitate the heating of bitumen at the destination so it can be transported directly to the asphalt plant, or wherever is required. For this reason, they are equipped with two combustion chambers at either side where the corresponding burners with perfect dimensions, power and regulation for this purpose are installed. 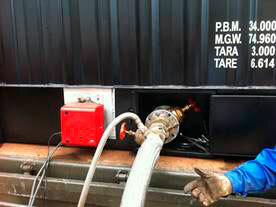 Reinforced containers for hot transport by road and rail are also manufactured to comply with ADR Regulation. They are certified assemblies and each unit is delivered with the adequate certification from the Accredited Control Organisation, currently corresponding to ECA – Bureau Veritas, in compliance with the application of the International Convention for Safe Container (CSC). CSC Certified. Designed only to facilitate the transport of cold bitumen by road, rail and sea. The bitumen is loaded at approximately 150 ºC, and once the bitucontainer is filled, it is stored in the refinery for the time required for the temperature to drop below 100 ºC. It is currently the most sold model in the market. Measurements 20’ x 8’ x 8’6” Capacity of 29.5 m³. CSC and ADR Certified. 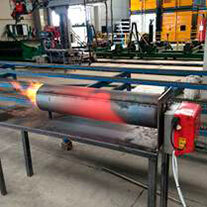 Designed to transport hot bitumen > 100 ºC by road and rail, and cold bitumen by road, rail and sea. Measurements 20’ x 8’ x 8’6”, Capacity of 28 m³ It is a thermally insulated container. 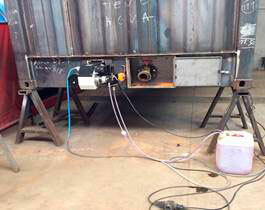 The combustion chambers of the containers are designed to install burners with specific dimensions, power and regulation, which will be notified to the clients who purchase the product. The EUROCONTAINER Group also has tank containers to facilitate hot transport by sea: the IMDG Model, which holds CSR, ADR and IMDG certifications.